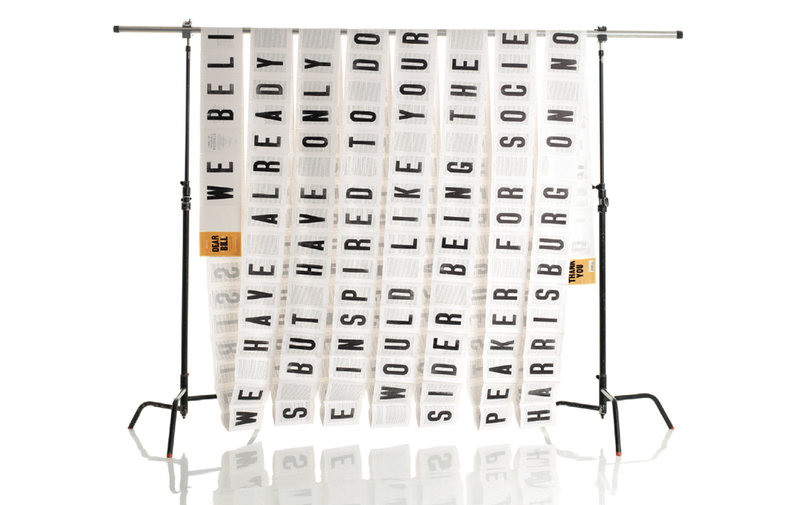 The Society of Design, a collective of design professionals in Pennsylvania, runs regular speakers series, tours, and exhibits focused on inspiration and expanded discourse. Their invitation to author Bill Strickland to speak at one of their events has become a work of art in itself, winning recognition at the One Show Design awards as Best in Show. The invitation was carefully printed via letterpress, one page at a time, across all 244 pages of Strickland’s book, Make the Impossible Possible. The message reads as follows: “Dear Bill. We believe in possible. We have already reached thousands but have only just begun. 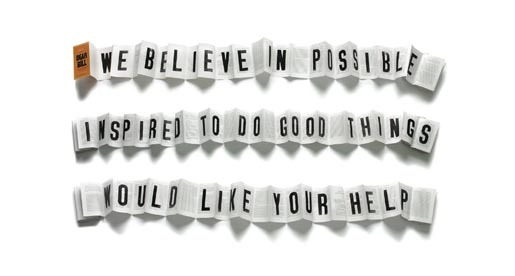 We are inspired to do good things and would like your help. Please consider being the featured guest speaker for Society of Design in Harrisburg on November 18. Thank you.” The invitation was designed, in copy and in form, to show that the Society of Design was committed to embracing the charge of making the impossible possible. The Dear Bill project was developed at Go Welsh, Lancaster, Pennsylvania.